From precision GPS to batteries for one of the world’s first commercial all-electric airplanes, NASA technology turns up in nearly every corner of modern life. The latest edition of NASA’s Spinoff publication features dozens of commercial technologies that were developed or improved by the agency’s space program and benefit people everywhere. • A lightweight, high-pressure tank NASA invented to hold rocket fuel now stores life-saving oxygen to keep pilots, firefighters and intensive care patients breathing — not to mention gases that power city buses and even paintball guns. 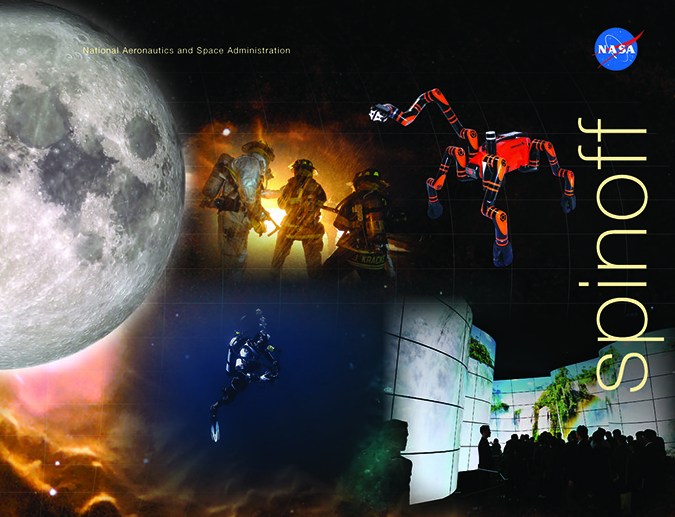 The publication provides nearly 50 examples of how NASA benefits various industries and people around the world. For example, fitness enthusiasts may be surprised to learn about NASA’s contribution to the Bowflex Revolution resistance-exercise home gym. Other highlights include a crucial component of pacemakers that have helped save lives around the world, as well as reactors that use electricity “breathing” bacteria to clean wastewater and generate power at wineries and breweries. For a free print copy, or to access digital editions of Spinoff, click here.